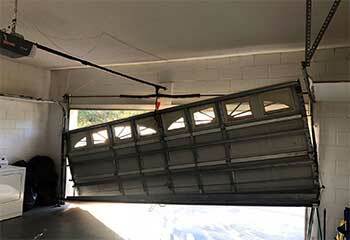 Our garage door specialists have been fixing openers and replacing springs for a very long time. There's no problem we can't help you with. Check out our latest projects below. Customer Issue: The customer’s door stopped opening at all. Our Solution: After checking for other issues, our team unplugged the opener and looked inside. The motor was too old and worn down to be worth fixing. 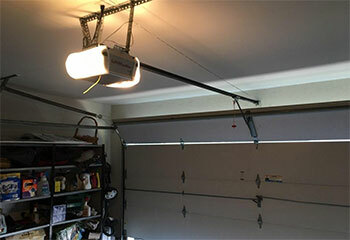 The customer picked out a new Chamberlain C870 chain drive opener, as he had a detached garage. Before leaving, our team made sure the system was fully functional by testing it several times. Our Solution: After helping the customer decide on a new Clopay Gallery Collection door, we disconnected the original one from the system to safely remove it. Then, we got the new one secured into place and tested it. 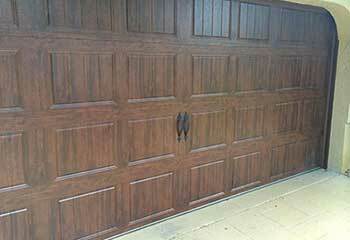 Our Solution: Our technician was careful to ensure the door was safely locked into place while he worked to avoid any danger, then disconnected the cables currently in place. This way he could then run the new ones through and get everything in working order. 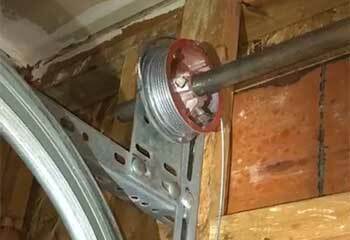 Our Solution: We carefully removed the rollers, hinge pins, and springs as well as moved the door itself in order to take out the track in place. That way we could properly align and screw into place the new one before putting it all back together.